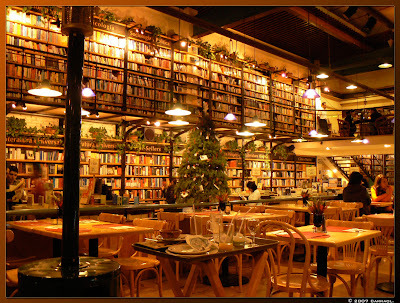 Cafebreria El Pendulo, an excellent place to have dinner, likewise to look for a good book, a movie or an album! I would love this place! Happy New Year from Houston Daily Photo! Hi, Candice & Megan, thanks for visiting. Happy New Year! I love this place too! Are those books for sale or are they just for the customers to read? Hi, Lisi, those books, albums & movies are for sale. They have a huge catalogue, to much to learn, hear & enjoy. Thanks for visiting. Now this is my kind of place. I wish we had a place like that here. Nice shot. Hi Randy, yes it's a cool place, with a fine music background. Thanks for visiting. This photo was taken exactly from where I was sitting when I dined at el Pendulo in the Zona Rosa! 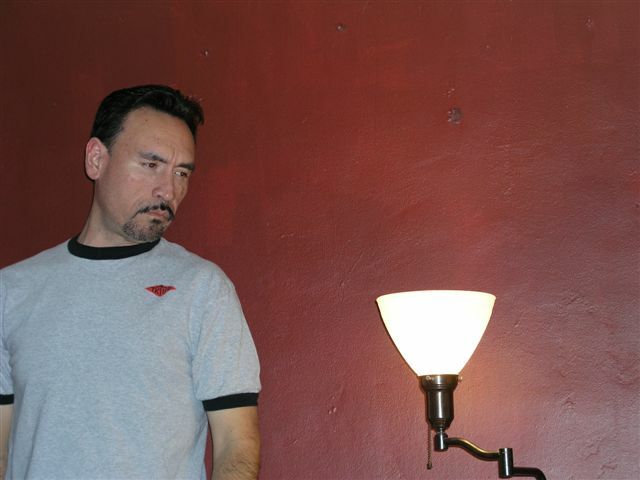 I fell in love with it, and also visited the location in Condesa. Thanks for posting it!